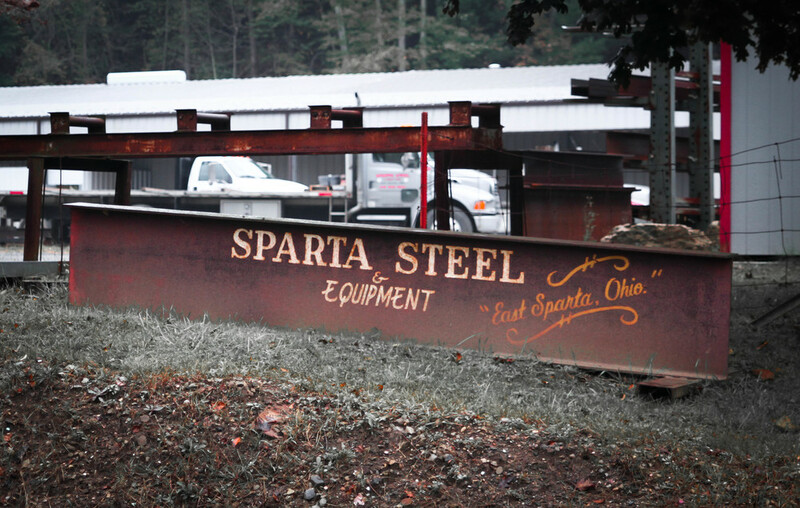 Sparta Steel was founded by the late Kenneth Rainsburg, and sons David and Morris. Sparta Steel & Equipment evolved from a scrap metal and equipment dealer into a Full-Line Steel Service Center serving the greater Ohio area. Sparta Steel has remained a family operated business over the years and today is under the leadership of third generation Tina Cappello and Billy Rainsburg. We have continued to expand over the years. Recently we purchased a building next door and moved all of our panel sheet and plate and shearing operations into it. We have also expanded an existing building to accompany our continually growing burning department. This includes a brand new Hi-Def Plasma burning machine that we are now running full speed. Today we offer a wide selection of structural steel (including: angle, beams, and channel), round and square bar, plate and sheet, pipe and fittings, rebar, expanded metal, deck plate, bar grating and aluminum and stainless steel as well. We also offer a variety of in house services including: shearing and sawing to size, and burning to size and to shape. We offer a variety of fabrications including: welding, forming, bending, and even machine work if need be. We can also provide post fabrication services in galvanizing and powder coating. Our inside sales staff has 40+ years of total experience and our outside sales staff has 50+ years of experience. Our knowledgeable staff will assist your every need. We will even send someone on site to help confirm what you are needing at no additional cost. Our motto is Fast, Friendly and Reliable Service, and we do everything we can to make that happen. If you call in and need assistance, we usually have someone on site within 1-2 days. We offer customer pick up for your convenience. Same-day pick up is available for all stock items. Need material shipped to a jobsite. Not a problem. We have our own fleet of trucks and we can deliver just-in-time where and when you need it. No order is too large or too small. We have continued to gain and maintain relationships over the years with our quick turn-around and up front attitude. We are here to serve you. Not the other way around. STEEL IS OUR PRODUCT, SERVICE IS OUR BUSINESS.